Savory beef + sweet onion = YUM! 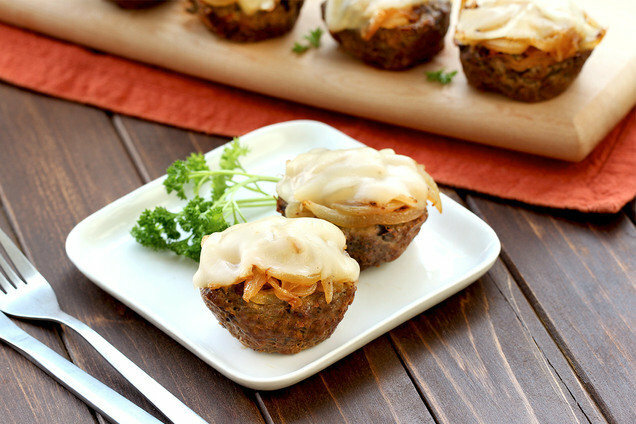 Please enjoy these adorable meatloaves, baked right in a muffin pan. 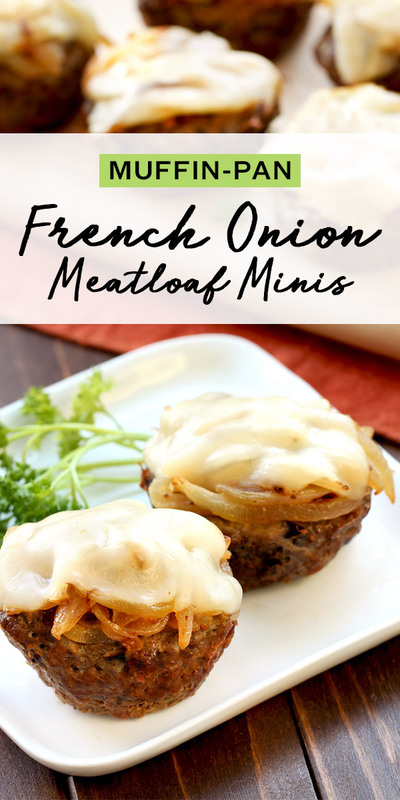 And keep reading for turkey meatloaf minis and more! In a large bowl, thoroughly mix beef, mushrooms, seasoning mix, egg whites/substitute, breadcrumbs, garlic powder, and pepper. Evenly transfer to muffin pan, and smooth out the tops. Bake until firm with lightly browned edges, about 35 minutes. Meanwhile, melt butter in a large skillet over medium-low heat. Add onions, and cook and stir for 15 minutes. Add chopped garlic, and cook and stir until garlic is fragrant and onions have caramelized, about 3 more minutes. Evenly spoon onions over meatloaves and top with cheese. Bake until melted, about 3 minutes. HG Tips: Can’t find French onion soup/dip seasoning mix? Feel free to use regular onion soup/dip mix instead! Can't find whole-wheat panko? No worries! Use standard panko; it will barely affect the recipe's nutritional info. Hungry for More Healthy Muffin-Pan Meatloaves? And the party continues... It's National Margarita Day, February 22nd! Time for a round of Magical Low-Calorie Margaritas. Pass your pals this new comfort-food favorite. Click "Send to a Friend" ASAP!